Questionnaires to assess your risk tolerance are a common tool for financial advisers. But a study done by the Ontario Securities Commission raises questions about how effective these questionnaires are. When you sat down with an adviser to talk over how to invest your retirement savings, chances are he or she gave you a questionnaire about your risk tolerance and financial goals. It's a common tool in the know-your-client process that is part of the adviser's responsibility. But a study done for the Ontario Securities Commission has found that most of those questionnaires are poorly designed. And that can mean advisers are directing clients toward investments that aren't suitable for their risk profile. Research firm PlanPlus Inc., which performed the study for the OSC, found 83 per cent of the questionnaires in the Canadian market are not fit for the purpose of assessing risk tolerance. That was true whether the adviser was a mutual funds dealer, broker or stand-alone financial adviser. Questionnaires have too few questions, poorly worded or confusing questions and arbitrary scoring models, among other problems, according to Shawn Brayman, president of PlanPlus. Advisers and clients hate doing the paperwork, so the process is often rushed. "If you get a questionnaire that has five questions and three boxes, it's hard to believe that the adviser knows you and knows what you can live with," Brayman told CBC News. He said many of the most experienced advisers he interviewed during the research had their own methods to get to know clients that went well beyond a questionnaire. He said investors need to take the time to let their adviser know what kind of risk they can live with — how much volatility can you stand with your investment? "This is your life and your money. But it's really important for the adviser to understand your attitude about this, regardless of how he gets it — questionnaire or talking to him," Brayman said. Too many questionnaires from various advisers seemed to have been designed to direct the client to a particular financial product, he said. There are a lot of aspects to creating a risk profile, including time horizon, income level, tolerance for swings in the market and understanding of investment basics. The OSC also asked PlanPlus to look into best practices for creating client profiles, in part because of the number of cases it sees where the client-adviser relationship has fallen apart because of a poor profile. "A lot of the clients, when there is a disagreement between a client and an adviser and the client goes to the regulator, it's often over the question of, 'He put me in the wrong kind of investment,'" says Connie Craddock, a member of the investor advisory panel at the OSC that funded the research. Craddock said disputes over risk profiling are one of the top complaints for regulators such as the OSC. "The know-your-client rule or suitability rule requires that an adviser know their client well enough to give them suitable recommendations," Craddock said. "Part of it is understanding what the investors' tolerance is for risk. Is the client able because of their circumstances and are they willing to take a lot of risk, are they conservative, do they need to preserve their capital?" She points to ways other jurisdictions are encouraging better understanding of a client's risk profile and says it is possible to adopt better practices from other sources, including the U.K., EU and Australia. Craddock said the OSC is trying to inspire "constructive change" in the financial advice industry. 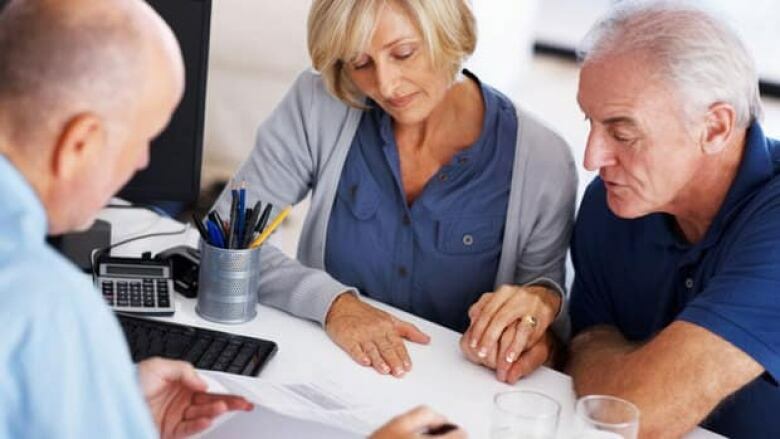 The research has been presented to the multiple regulatory bodies that oversee financial advisers, including the Mutual Fund Dealers Association (MFDA), Investment Funds Institute of Canada, Investment Industry Regulatory Organization of Canada and the Ombudsman for Banking Services and Investments. "The regulators should get going on making sure the advisers get better education and training," Craddock said. She also suggest regulators look at creating some kind of standard questionnaire that can be used by the entire industry. Some large firms create their own questionnaires, but many independent advisers are left to their own methods. The MFDA, which has provided its members with a sample questionnaire, points out that using a questionnaire is only part of the know-your-client process. "A questionnaire can be an excellent starting point for deeper discussions around client goals, product risks and realistic investment return expectations," it says in a 2014 discussion paper. In response to a request for comment on the OSC study, the MFDA said it is "engaged in extensive review and analysis of the use of questionnaires in the industry."